Adventure! Adventure! Adventure! This should be the slogan of this game. Don't worry, you do not leave the realm of the dark and mysterious that is common to the hidden object puzzle adventure games. The Missing: Island of Lost Ships challenges you with a thrilling story and challenging tasks. The game play i sreally thought through. 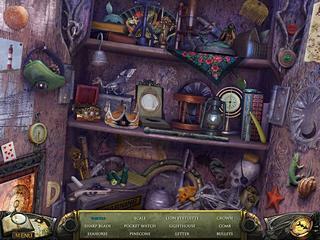 The hidden object games are all interactive. You've got a mission in this hidden object puzzle adventure game. You have to rescue your friend from ... well, first you need to find him, then rescue from Admiral. He'd been after an artifact before he disappeared in the sea. You go ahead to find him and find your way out of an evil island and sea pirates. Sounds like fun, doesn't it? The game's audio-visual presentation is excellent. The graphics are very nicely drawn and the voices are great creating this mysterious atmosphere. The game play i sreally thought through. 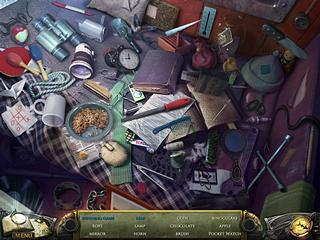 The hidden object games are all interactive. If they happen to become too challenging, you can use a hint button that recharges really fast. The mini games are fun to play since some of teh m are new and quite interesting. There's a journal and a map that takes you locations, all of which are enjoyable to visit and play in on this adventure. The game's great and totally worth it. If you are this genre fan, you are most likely to enjoy it! This is The Missing: Island of Lost Ships review. Download this game here.